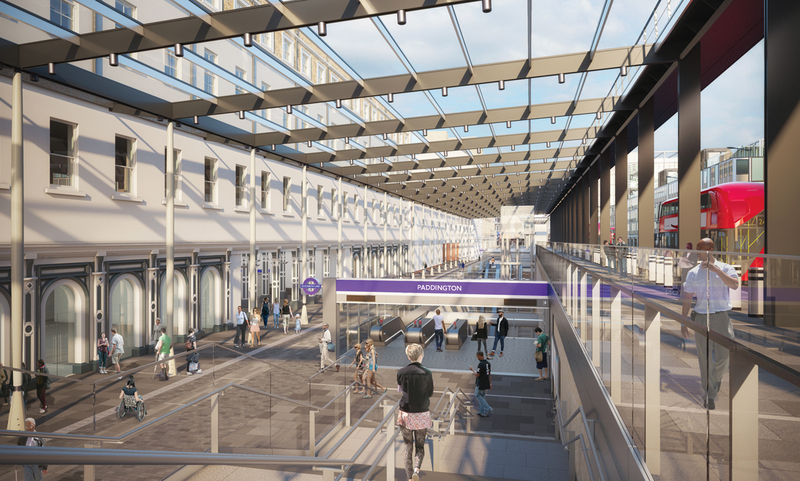 As part of the Crossrail project, London's Paddington station is undergoing the most significant transformation since the completion of the original building in 1853. A busy terminus for local, regional and international passengers, the opening of the new Elizabeth line station in 2019 will increase capacity at this major interchange. As part of this transformation, Qualter Hall, in conjunction with sister company Waagner Biro, successfully secured the contract from main contractor Costain Skanska Joint Venture (CSJV) for a circa 120m long, dramatic steel and glass canopy over 8m above the ground that will let natural light flood down to the people below. Printed into the glass canopy is a bespoke work of art by American artist Spencer Finch. A 'Cloud Index' will create a picture of the sky which will appear to change according to the light, the direction of the sun and the time of day in the tradition of artists such as Constable and Turner. This Departures Road canopy has 3000m2 of specially laminated glazing resting on a steel structure. The whole length of the canopy along the Eastbourne Terrace is circa 120m, with 20 bays and two cantilevering end bays, the width towards the adjacent MacMillan House is 24m. The height is 10.4m above Departures Road and 8.6m above Eastbourne Terrace. Qualter Hall's scope of works which was completed in January 2018, included the fabrication and delivery to site of the complete steel structure and associated parts. As part of the contract, Qualter Hall was also required to carry out a trial assembly of a section of the canopy which was completed during the Summer of 2017 at our Barnsley based manufacturing facility.